Amélie du Passage, founder and creative director of Petite Friture, in collaboration with Grand Relations, invited Swedish press and designers to an exclusive private dinner in Paris in conjunction with Maison & Objet 2016. 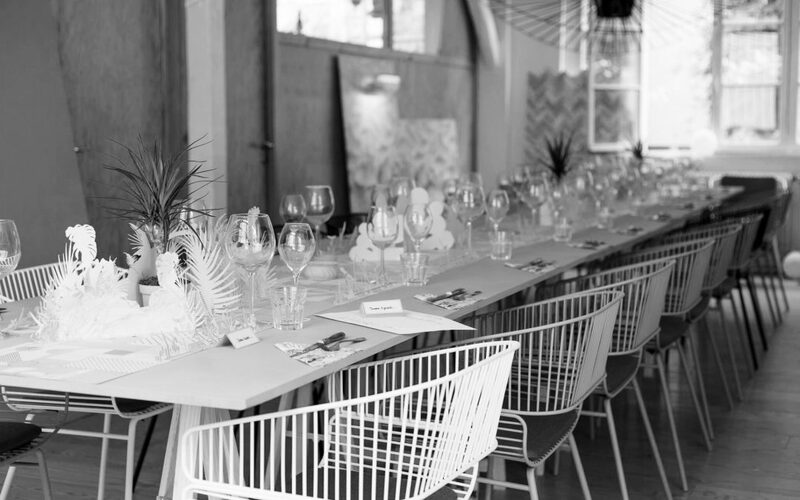 The dinner was arranged at Petite Friture’s showroom in celebration of their first tableware collection in partnership with the French porcelain company Revolv. The tableware, Succession is designed by the Swedish design duo Färg & Blanche. Experimenting with felt, Färg & Blanche shaped and created an organic form. This experimental form was handed over to the artisans of REVOL who for this occasion returned to original moulding techniques in order to respect and to respond to the needs of the contemporary lines. The dinner was staged by Studio Appétit.